Completed in 2009, this exclusive new development of 60 homes in a private residential complex used high quality products. Materials have been carefully chosen to endure the rough Norwegian climate. This project used 1,625 square meters of our STONEPANEL™ Sahara, composed by multicolor quartzite with brown and grey tones. Sober and rustic, this natural stone panel brings great warmth and timelessness to the facade of Norefjell 903 Moh development. Thanks to its patented anchor system, STONEPANEL™ is the only natural stone panel certified and guaranteed for outdoor use. Perfect for hiking in summer and autumn and skiing during winter, Norefjell is a ski area with Norway’s greatest vertical drop, allowing to arrive from the summit to the fjord below. 903 Moh project comprises 60 homes spread over 8 buildings. The smallest apartments are 68 square meters and the largest, up to 125 m². 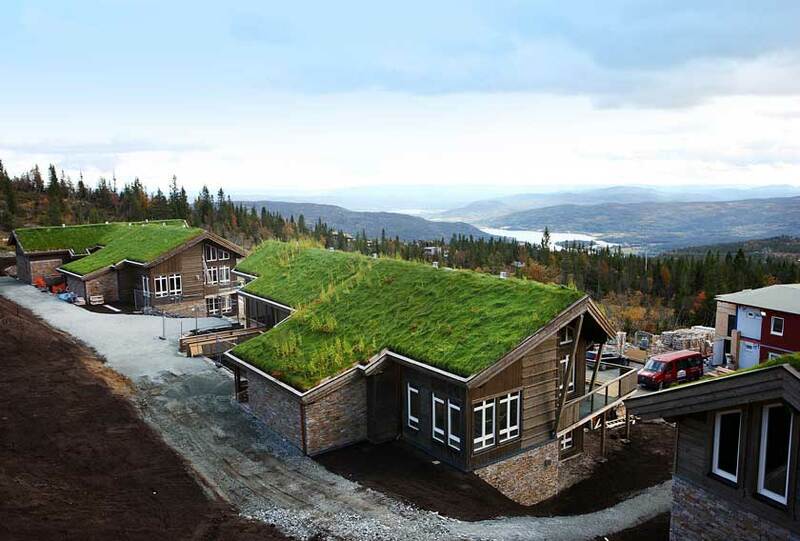 These high-standard constructions include turf and green roofs, a long-standing tradition in Norway, in order to maintain a focus on the peaceful landscape. 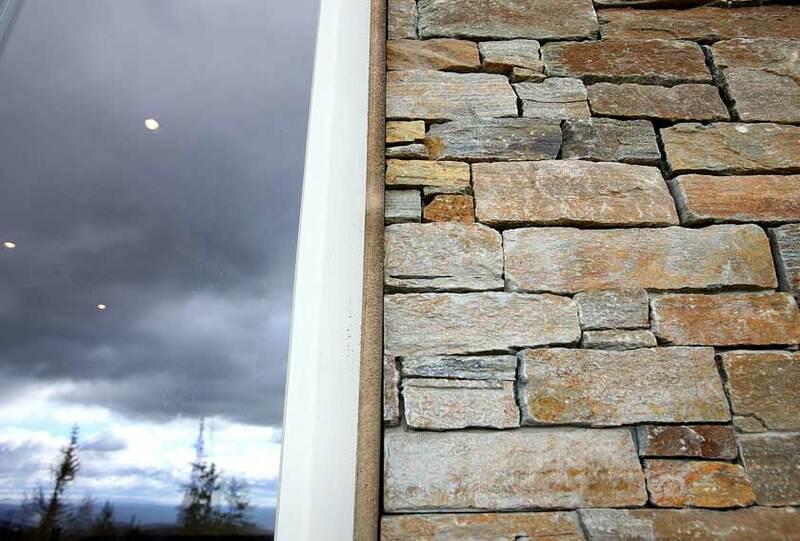 Natural stone and timber are intended to age and blend with the natural surroundings over time. 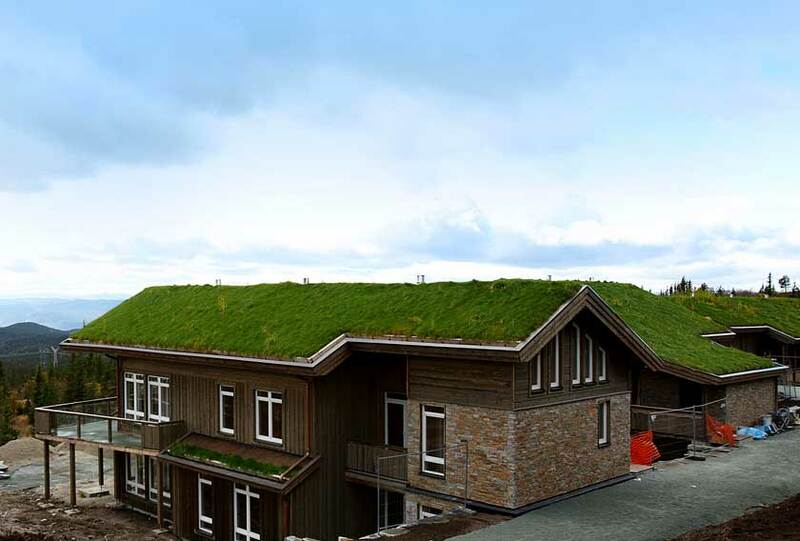 STONEPANEL™ has renovated the SINTEF Technical Approval, a certification for building materials, components and construction systems in Norway. 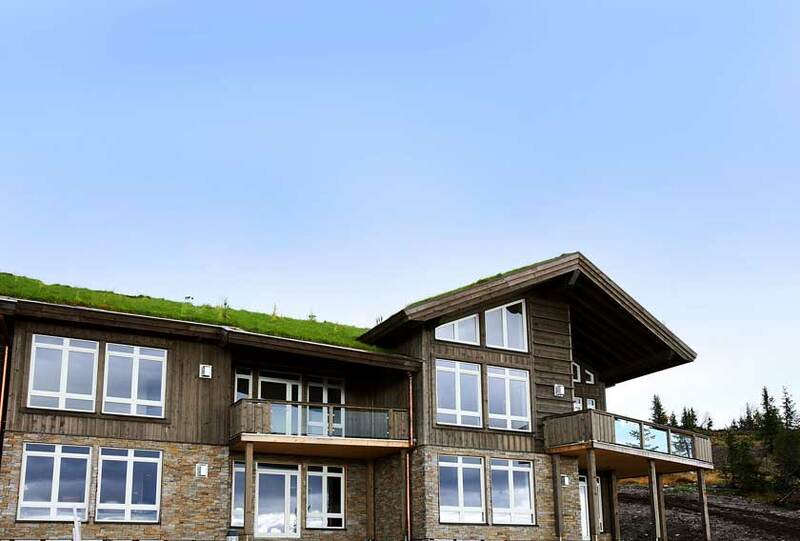 According to this independent research organisation, freeze-thaw tests show that STONEPANEL™ has sufficient frost resistance for outdoor exposure in Norway. STONEPANEL™ has also renovated the BBA-Agrément Certificate, leading the market as the only natural stone pre-assembled panel that is backed by this certification in UK. Furthermore, our natural stone panels has been certified by the most prestigious European organisations: CSTB (Avis Technique) in France and DIBt (ABZ) in Germany. Panels are ‘S’ shaped to avoid visible joints. Special pieces are available such as corners (solid, straight end, double end or for windows), coverings and other complementary solutions. Have a look at the project at Heggelund & Koxvold Arkitekter.